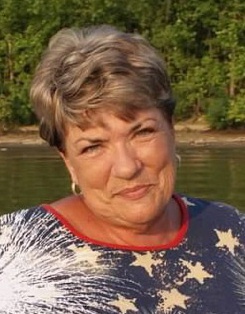 Bonnie Gayle Fentress, age 69 of Locust Hill, KY died Thursday, February 7, 2019 at Breckinridge Memorial Hospital. She was born in locust Hill, KY on February 2, 1950, the daughter of the late Louie H. and Anita Frank Carman. Bonie Gayle was a member of Locust Hill United Methodist Church, United Methodist Women and the Soul Sisters. She retired from the Breckinridge County Board of Education after many years as a clerk at Breckinridge County High School. Her family meant the world to her - she attended all events her sons were involved with during their teenage and young adult years. She continued this with her grandchildren who she adored. Bonnie Gayle and Darrell enjoyed watching and attending UK basketball games. She loved flowers and always had a beautiful garden. Bonnie Gayle was a very funny, loving and special lady who had a huge circle of friends who will miss her beautiful smile. In addition to her parents, she was preceded in death by her infant daughter Melissa Jo. Funeral services will be held at Trent-Dowell Funeral Home 308 South Hardin Street Hardinsburg, KY 40143 on Sunday, February 10, 2019 at 1 PM. Burial will be in the Harned Cemetery. Visitation will be held on Saturday, 3-8 PM and Sunday after 9 AM. In lieu of flowers, the family would like donations be made to Locust Hill United Methodist Church or Breckinridge Memorial Hospital Foundation.